Beginning this August, the Center for 21st Century Universities (C21U) will serve as the program office and central coordinating body for institute-wide activities for Georgia Tech's Commission on Creating the Next in Education (CNE) report. C21U will be a hub and liaison to coordinate resources, projects, and programs for efforts related to the CNE. 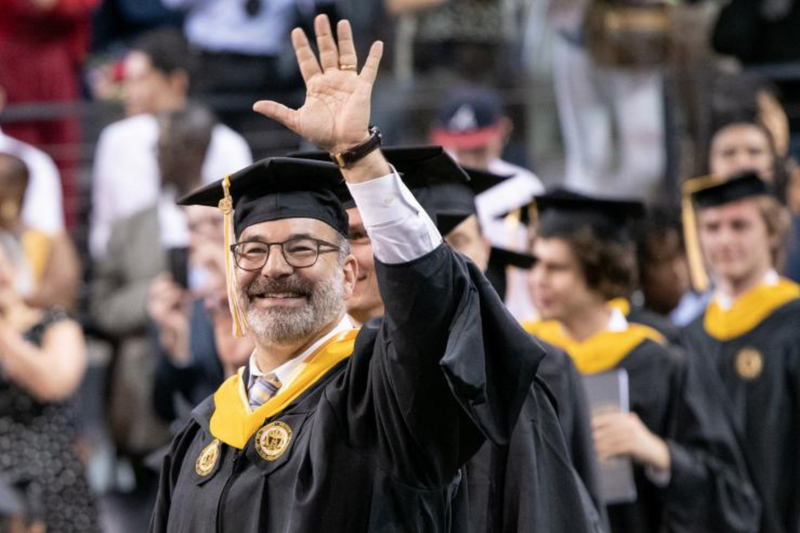 The CNE report, Deliberate Innovation, Lifetime Education, is the result of the work of more than 50 faculty, staff, and students to envision the future Georgia Tech learning environment and the changing nature of students and the workplace. Work will begin on fulfilling many report recommendations for pilot programs and projects in the 2018-2019 academic year. The CNE Program Office will serve as the driver and primary resource for these efforts. Exploratory work has already begun on a number of projects including the Academic Master Plan, Georgia Tech atrium, an Advising for a New Era task force, graduate certificates, and a blockchain credential project. CNE projects and programs may be conducted by any academic or administrative unit. Leadership for such efforts includes schools, colleges, vice-provost offices, and Georgia Tech Professional Education (GTPE). C21U will provide support for all of these initiatives. Rich DeMillo, executive director of C21U, will serve as executive director of the CNE Program Office. “The university of the future will not necessarily be confined to a physical campus where one spends a few years, earns a degree, and leaves,” said DeMillo. “If fully-realized, the Georgia Tech Commitment will allow students to start, stop, and start again as personal and professional needs change. We have ideas about how to use technology-enhanced advances in learning science to make that future a reality for the next generation of Georgia Tech learners. It will be up to the Georgia Tech community to put that commitment into action." Interested in getting involved with a CNE initiative? Contact ed-innovation@gatech.edu. Read the full CNE Report on the Office of the Provost website.